Counter surfaces are one of the most aesthetic elements in any kitchen or bathroom. People often ask our designers about countertop products they see in magazines and showrooms. They ask questions about current trends, cost, value and ease of maintenance. 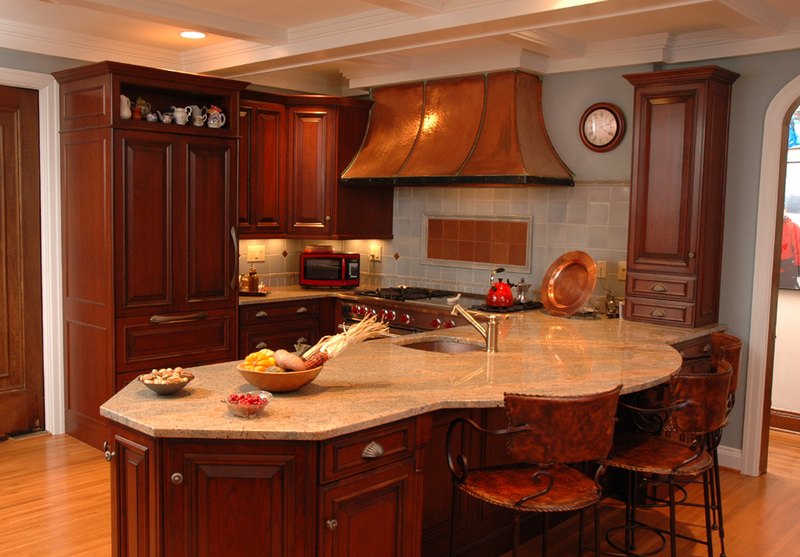 Granite continues to be the number one choice for kitchen countertops. In 2011, 91% of designers surveyed specified granite. The percentage dipped slightly to 87% in 2012. For bathroom projects granite was used by 71% of designers. Granite is an investment and is more expensive than many other countertop products. Cost is influenced by the pattern and thickness. 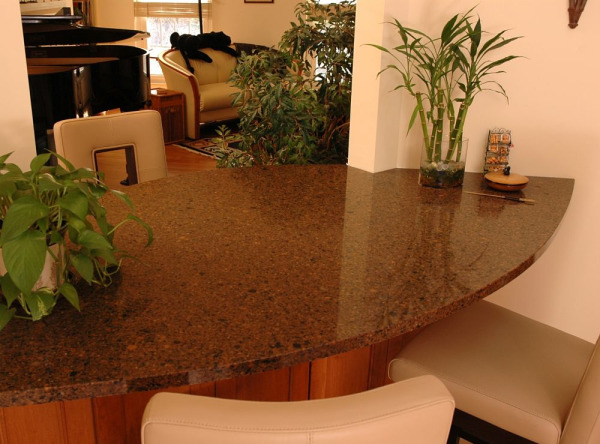 Granite is durable and easy to maintain and can be wiped with a mild soap solution. It requires sealing once a year to resist staining from water and oils. Water will stain granite temporarily but will eventually evaporate. Oil stains can be removed by applying a poultice or paste that will draw the oil from the surface. Quartz is one of the most non-porous products on the market. New designs, particularly those produced by Cambria, emulate granite and marble. From 2011 to 2012, the popularity of quartz in kitchen projects declined slightly from 71% to 69 % and in bathroom projects from 56% to 53%. Quartz can be almost as expensive as granite. Quartz is scratch, heat and mildew resistant. Seams are negligible. 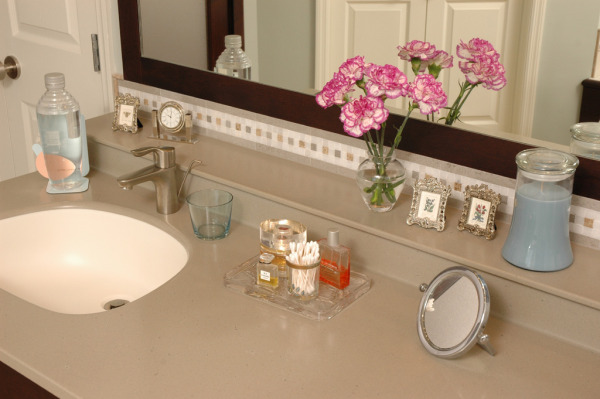 Quartz counters are low maintenance and do not require annual sealing. Manufacturers offer limited or lifetime warranties against product defects. NKBA did not include marble in its report for use in kitchens, but we’ve observed that more consumers are choosing marble. Marble ranked third among NKBA designers for vanity top material, at 41%, up from 38% in 2011. While marble is a hard durable material, it is more susceptible to staining and chipping. It is also a high-end product in terms of cost. There was a significant increase in the use of solid surface countertops in kitchens from 2011 to 2012, 11% to 26%. The trend also held for bathrooms from 26% in 2011, to 34% in 2012. 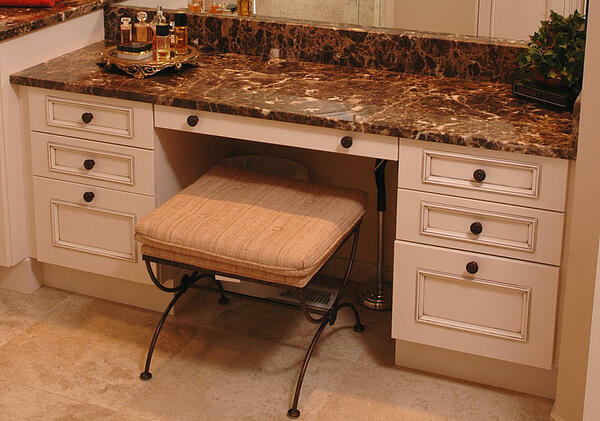 Solid surface countertops can be installed seamlessly and will fit any space. They are non-porous, easy to clean and stains will not penetrate the surface. The countertops also resist mildew, mold and bacteria growth and are certified by the National Science Foundation for food contact and sanitation. Dupont Corian is the industry leader and introduced the product in 1965. Corian is now available in more than 100 colors. Use of glass vanity tops doubled between 2011 and 2012, from 5% to 11%. Glass is actually very durable. The thicker the glass, the stronger it will be. Glass is scratch, stain and heat resistant. When used in food prep areas, it resists mildew. Glass is being used in contemporary kitchens and is truly beautiful. While soapstone was not on the NKBA list, we’ve noted that this product is increasing in popularity among our customers because of its distinctive veined appearance. Soapstone comes in many colors and can be cleaned with liquid detergent and water. Mineral oil should be applied every two weeks in the first year to help the surface oxidize, then every two months as regular maintenance. 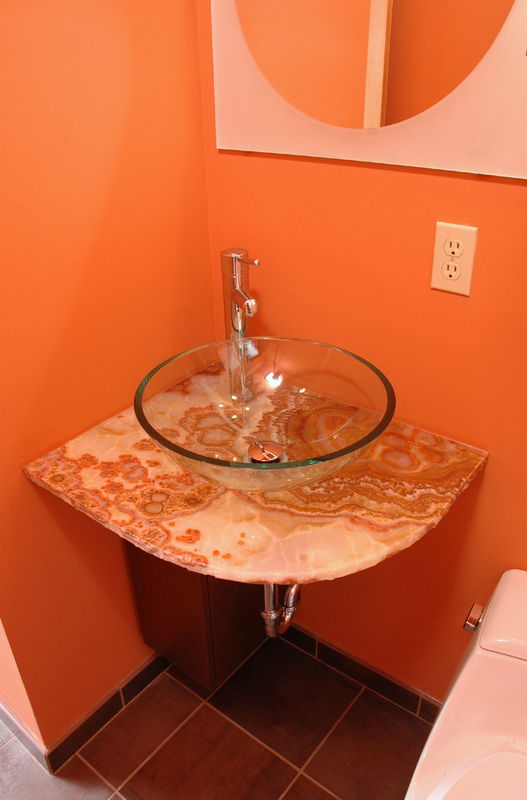 Other popular natural tone stone countertops include onyx and travertine. Onyx is being used by upscale designers because of its beauty and translucent look. 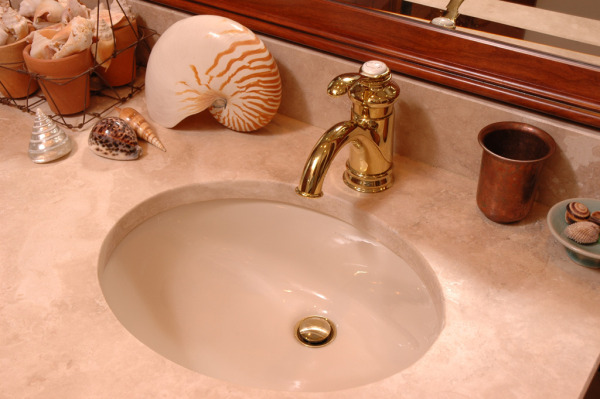 Travertine remains a very popular countertop and shower surface in bathrooms. Travertine is a form of limestone that is mined and has been used in building for centuries. It requires sealing and you will want to check the manufacturer’s care instructions for frequency and the appropriate sealer to use. Travertine is often used in kitchens as a backsplash tile. The NKBA designers didn’t include laminates as a trend in the survey but we need to tell you about some of the great affordable laminate products on the market. You may have seen them in magazines or on home improvement websites. According to Consumer Reports, laminates comprise 13% of the countertop market. Wilsonart and Formica have made great strides with their products in the past five years. 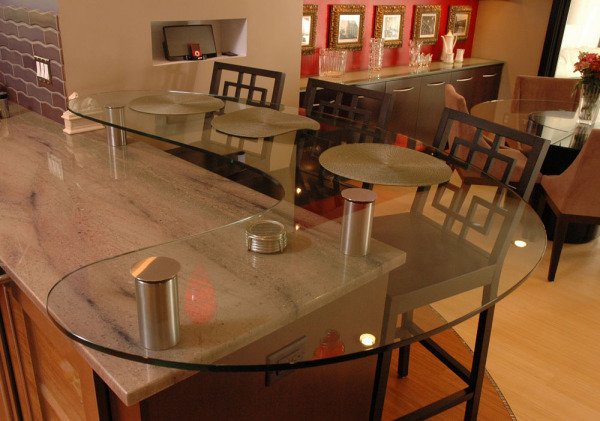 They now offer high definition laminates that look like polished granite, marble, soapstone and solid surfaces. Laminates even resemble wood. Integrated sinks can be installed with laminate countertops and the options for edging look like fabricated stone countertops. One new exciting product is Formica 180fx which offers the look of expensive Calacatta marble and comes in other beautiful designs. You may not want laminates in your kitchen or master bathroom, but they are worth considering for other spaces such as laundry rooms.